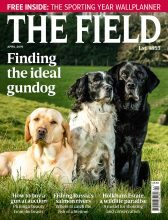 The Field Gundog Awards 2017, in association with Skinner’s Pet Foods, was met with the enthusiasm and variety we expected of Field readers. From the finest companion to smalls, to the most outstanding retriever and the naughtiest in the field, all were eligible and the entries came flooding in. The judges have tussled over the entries, comparing the exemplary gundogs to the persistent, the unexpected to the extraordinary and the wilful to the downright wicked and the results are in. Read on for The Field Gundog Awards 2017 winners and highly commended. Thank you to all that entered The Field Gundog Awards 2017. With The Twelfth opening the season tomorrow, remember to stay alert for the very best gundogs in the field. We look forward to receiving your entries in 2018. The winner of each category will be invited to a special celebratory lunch at Burghley Horse Trials, where The Field will be hosting a gundog demonstration in the main arena. Winners will be presented with a rosette and a year’s supply of Skinner’s dog food. We hope to see as many of the winners, human and canine, there as possible. And if you are attending Burghley Horse Trials this year, do come and say hello at The Field stand at A23. Roy and Lucinda’s bond is impressive, despite their limited training time. “A bird was shot in front of the line to the left and Lucinda deployed her first dog out Jelly. Whilst sending the dog another bird was winged and landed off the end of the line behind, unseen by Lucinda and Roy. The radio went that there was a bird down off the end of the line, without further delay Roy was sent. As Roy went beyond the end of the line it became apparent there was a large steep, almost ravine gulley in front of him with rocks and water in the bottom. The dog struggled to scramble up the other side and kept slipping but undeterred he kept going, all the time Lucinda knew time was of the essence to recover this bird. After crossing the large gulley there was a criss-cross of two further gulleys and still the dog kept the line crossing both, as he appeared out of the far gulley a bird flushed to his right and the gun started to get excitable saying that must be the bird. Roy didn’t dwell on this but pulled on a further scent, eventually coming to a small stream like water course where he pulled left and tracked the bird for a good 80 yards before a lively capture. The distance this dog had travelled on the retrieve with minimal commands from the handler and a good nose was truly an outstanding testimonial to the relationship between dog and handler”. Luna’s best retrieve of the season earned a round of applause from the guns. Tess was nervous of loud noises but is now an excellent all-round gundog. “We were walking single file through a mature oak wood, when Tess stopped and proceeded to take on the pose of a Meerkat, peering intently into the late summer foliage. I took a quick look but given we were not exactly stalking in terms of the noise we were producing, concluded a pheasant had raised her interest and was about to press on when she looked at me imploringly and then back at the cover, to which she now held her gaze, still on her back legs, albeit appearing to try and stand on her very toes in an effort to get a better view. Rolo is an incredibly hard-working cocker who is relied upon for those difficult retrieves. Jerzi is a much loved family pet and a committed working dog. Jerzi is an impressive German shorthaired pointed, much adored at home and in the field. Jerzi is a favourite with many of her owners’ B&B guests, always welcoming them with a wagging tail, while also being a focused and committed working dog. Jerzi picks up for three different shoots and has worked on several walked up days. Jerzi has also field trialled regularly at Open standard with excellent results. Jessy is her owner’s go-to dog when the going gets tough. Rigg was the first clumber spaniel to win at AV level since 1911. Rigg is an impressive clumber spaniel, who made history when he achieved first place in an Any Variety Spaniel Novice Field Trial, winning against 15 springers in the stake and the first win at AV level by any clumber spaniel since 1911. Rigg was unable to start competing at open level though under Kennel Club rules, which demanded attention to create a level playing field for all spaniel types. The Kennel Club swiftly altered the rules, allowing any minor breed to compete at AV Open level. Rigg is also a day to day working dog with huge game finding and scenting ability. The work of Ruby and Storm harks back to the original work of French spaniels. Ruby is a two year old French spaniel, who has been training under her owner, Nigel Melfi, who is falconer and has had a fantastic year working under Storm the Peregrine falcon. Ruby and Storm have an impressive partnership and their work harks back to the original work of a French spaniel. Roger Milbank caught the bug for picking up in 1979. Roger Milbank first caught the bug for picking up in 1979, when delivering to a farm the owner noticed Roger had his first ever gundog in the van and invited him to his shoot. Roger has now been the Head Picker-Up on his shoot for the last twenty years, looking after 16 other people and working his team of three labradors and two flatcoats.  Ben Carter and his team of dogs’ ability in the field is impressive. Ben Carter is from Cottenham, Cambridgeshire and has impressed in his time picking up at several places but mainly at Vesteys at Little Thurlow. Charlie realised his owner’s long lived ambition to own a working gundog, but is a pet first and foremost. Charlie is a show bred golden retriever, though his owner had a long held ambition to have a working gundog. After a bad experience with a trainer who was particularly rough with Charlie’s older half-brother Dudley, David gave up hope of owning a gundog as he wanted to the dogs to be family pets first and foremost. However, Charlie loved carrying things in his mouth, had a strong hunt instinct and clearly seemed different. After six training sessions they were out on their first shoot and are now regular pickers up on their local shoots, where all of the other dogs are labradors, and they have had the chance to help in the main gundog arena at The Game Fair as well as field trials and working tests. “I feel truly privileged to be out in the wonderful countryside watching my dog do what he was bred to do. And as for Charlie, well he seems to love being out on a shoot putting his nose to work to find birds which would otherwise have been lost. Wispa is an impressive all-round gundog for his whole family. Wispa is a fabulous all-rounder and an excellent working dog for his whole family. He is regularly out picking-up with his 9-year old owner Harri and his mother, as well as sitting on the peg with Harri’s father and while he is a machine in the field, he has the gentlest nature and is a loving family dog at home. Isla is a fantastic all round gundog and will even tolerate being dressed as a bee for charity. Isla, known as Weasel, is a fantastic all round gundog and the first dog her owner trained to the gun. She will beat all day and retrieve anything asked of her, while she has also done well in scurries, working tests and trials with silverware to her name. “She has always been a key part of my family, lives indoors and is quite happy being a sofa surfer or relaxing in front of the fire. She tolerates wearing stupid Christmas jumpers, dressing up as a bee for a charity fun day and adores children. She has been a fabulous mother and produced some stunning puppies which are all out working and doing agility at high levels. She also helped rear a little of corgi puppies that were abandoned by their mother! Jacqueline and Molly on beaters’ day – but minus white pheasant. “As the beaters made their way to the end of the covert, a flush and the cry “whitey” was heard. Now, that in itself wasn’t a problem and i saw the white bird casually fly over the guns and drop in the dyke about 50 meters to my right. Almost at the same time, two (or maybe three) birds were neatly dropped and marked in front of me, but there was one runner who made his way towards the dyke, so I sent Molly for the runner. Like a bullet, she went out and I smugly watched her speed out to where the runner had dropped into the dyke, and i watched her carry on, stopping about 50 meters along and diving straight into the dyke. At this point, I realised my whistle had fallen out of my mouth and my chin was somewhere on the floor. “Before I even got a chance to replace said whistle and start the frantic recall blowing, the little dog had flushed the white pheasant out of the dyke and was coursing it across the field behind me, the bird flying about 2 meters off the ground. Of course the stop whistle, turn whistle and recall whistle, all broken. Even a yelled “Molly” in my classiest Aberdeen fishwife growl had absolutely no effect and I stood pretty helplessly watching her follow the bird until it dropped into a dyke at the other side of the field well behind me. Mungo at just 9 weeks, he is now 17 months old. Tinker the German Shepherd has been a working gundog for four years. Tinker is a German Shepherd and has been shooting with her owners for four years and has proven herself very impressive in the field despite looking perhaps little out of place. Fig is a self-taught working gundog. Fig is Jack Russell Terrier works at shoots all over the country, and has become quite the celebrity in the field. Although her owners had no intention of Fig being a working dog, and didn’t train her as such, Fig took it upon herself to show the labradors and spaniels how it is done. “Fig is a completely self taught gun dog who learned by closely observing the other dogs on our shoot days while staying firmly at Phil’s heel. She tolerated this for a couple of seasons until the day she broke rank! “It was our first driven day of the season in Gloucestershire. Phil, not shooting that day, was armed with his camera and stood on the end of the line with Fig by his side. I was the end gun and the first bird that came over was a hen pheasant which I brought down with the second barrel and it landed in some shoulder height bracken behind me. To Phil’s horror, Fig went straight in after the bird. Something she had never down before. To our relief and astonishment, she returned moments later and retrieved the bird softly to hand! Phil’s face was a picture! Being a lap dog and totally deaf didn’t stop Alfie becoming a beating dog and doing everything the working spaniels do. Alfie is a Cavalier King Charles Spaniel and came from show lines with 13 champions. But Alfie had other ideas, knowing he was destined to be a beating dog – and he hasn’t let the fact he is totally deaf stop him. “Alfie is far from the toy dog/lap dog Cavaliers are characterised to be. Alfie can complete a 9 mile days shoot like all the gundogs on the shoot. Alfie is often photographed by new guns as they cannot believe that a Cavalier is doing the same job as a working dog. Alfie was given a special mention at our shoot meal for being such a special dog! Thank you once again to all who entered The Field Gundog Awards 2017.